Janice: I’ve never used (or seen!) Lightroom although I’ve heard it’s good. I just have the full Adobe Suite and use Photoshop and Illustrator for most photo-related things. How is it better than what I’m using? 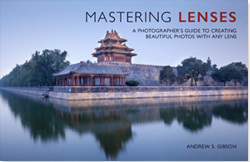 Ron: If it is not such a big ask, why did you choose Lightroom over Photoshop? I’d be really interested to hear your views which might sway me to move from CS6 to Lightroom. Daniel: Since, in your recent newsletter, you encourage people to ask you questions, here is mine. It is prompted by the push on Lightroom I see everywhere on photography sites. I use Faststone as a viewer and to organise my photos. I use iTag to enter keywords. I use DxO Optics Pro to convert the RAW files to TIFF. I use Photoshop CS5 to tweak my photos. What would using Lightroom in my workflow bring me? First, some short answers to the above questions, then I’ll follow up in more detail. Janice & Ron: Lightroom lets you organise your photos as well as edit them. It will save you time and hard drive space. Daniel: You simplify your workflow by doing all of these things in Lightroom. You’ll save time and hard drive space. 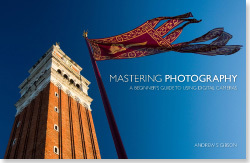 You can even incorporate DxO Optics Pro as part of your Lightroom workflow. This article explains how. People are accustomed to editing photos in Photoshop (the CS and CC versions, which I will just call Photoshop here) because for many years it was the only software most of us used. There have always been alternatives, but for a long time Photoshop was simply the best program, so most photographers used it. Then came Lightroom (and other programs like it such as Aperture and Capture One Pro). They are just as good as Photoshop in many ways for photo processing and can be used to catalog and organise photos as well as process them. Lightroom has the biggest market share of these programs and photographers have been shifting from Photoshop to Lightroom ever since. Lightroom is a better tool for organising and searching photos. 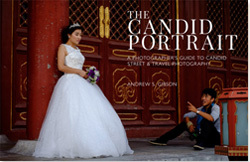 Details of every photo imported into Lightroom are stored in a central database called a Catalog. 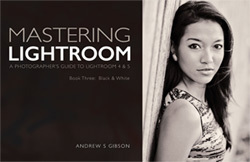 The Catalog lies at the heart of the Lightroom workflow. Regardless of the folder structure where your photos are stored, you can organise your photos into Collections in a system far more advanced than using Photoshop with Adobe Bridge. 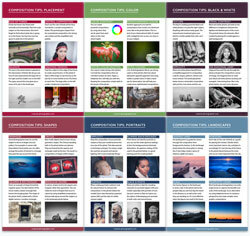 The end result is that you save time and energy because your photos are organised in a cohesive fashion. Lightroom saves you hard drive space. When you use Photoshop, a typical workflow is to process your Raw files with Adobe Camera Raw, then do some more editing in Photoshop and save them as 16 bit TIFF files. Even if you use 8 bit TIFFs or JPEGs you are still using much more hard drive space than Lightroom. Lightroom works by saving edits you make to Raw files in the Catalog as text commands, which take up very little space. Lightroom is better for batch processing. Let’s say you take two or three hundred similar photos on a shoot. 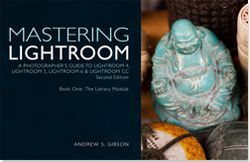 Lightroom gives you the tools to view and narrow those down to the ones you want to process (this is covered in detail in my ebook Mastering Lightroom: Book One – The Library Module) and makes it much easier to process them by giving you several ways to carry out batch processing. Again the result is that you save a lot of time and energy. Lightroom’s Develop Presets save you time and help you explore its creative potential. A preset is a bit like a Photoshop Action and is a shortcut to obtaining a certain look or effect. You can make your own or buy or download presets created by other people. Some work in a modular fashion, allowing you to combine effects to produce an overall customised look. Others are designed to give you a vintage or otherwise stylised look with just one click. Lightroom is inexpensive compared to Photoshop (although that’s not quite so clearcut with the recent switch by Adobe to a subscription model). Unlike Photoshop, you can buy Lightroom outright (no subscription required). 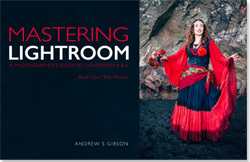 Some photographers use Lightroom in conjunction with Photoshop Elements (using Elements to carry out the sort of edits you can’t do in Lightroom). Lightroom works with Photoshop as well as most of the plug-ins that you may use with Lightroom. That’s right, there’s no need to give up using Photoshop. But you can use Lightroom to organise your photo collection and carry out Raw processing until you reach its limits, in which case you switch to Photoshop to finish off your photo. You like to add textures to photos, or use layers to combine images in other ways. For this you definitely need Photoshop. You carry out high end or complex retouching tasks. Photoshop still offers much more precision. 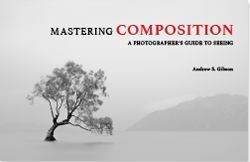 You use HDR (High Dynamic Range) or exposure blending techniques. Photoshop, or Photoshop combined with a plug-in, gives you more options for both these techniques. You may be able to think of more, but these are the main areas where Photoshop is still better than Lightroom. The easiest way to see if Lightroom is for you is to download the free 30 day trial and have a play. You’ll soon figure out whether it is for you. 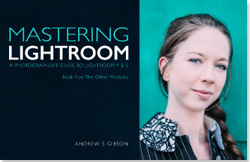 My ebooks Mastering Lightroom: Book One – The Library Module and Mastering Lightroom: Book Two – The Develop Module teach you how to organise and process your Raw files in Lightroom. 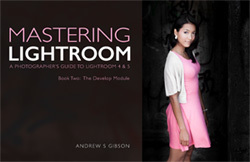 Written for Lightroom 4 & 5 they guide you through the Library and Develop modules. You’ll learn how to use Lightroom as the complete workflow tool from import through to creatively processing your favourite photos. Click the links to learn more or buy. Thanks for the clarification of what Lightroom can do, I’ve always been a pure Photoshop user and Lightroom has never appealed to me (probably because i didn’t know what it could give me!). I still think for my own purposes Photoshop is a better single solution for me, as I do a lot of photo retouching and layering to create a final image. Also, I actually dont like the idea of tagging photos to make them easier to find – they’re my photos and I organise them with nice names in folders in date order anyway, so I can always easily find what I’m looking for. I do like the idea of storing edited RAW images as text commands though, that’s a great space saver if you use RAW. I don’t as I find it messy to work with and slow – this may have changed with faster computers and newer software! Thanks for the article, a nice read! Thanks for the link to the article on bit depth, I realise shooting in JPG doesn’t always give the best room for manoeuvre post-processing. Most of the work I do at the moment is product shots, and I set the white balance each time and aim to get the exposure spot on with each shot, so I don’t rely on software to do that for me afterwards (even though I do some editing with levels etc yes). I also do a lot of website pictures where the quality is only for web and it also involves using layering of text and other pictures to create a final image. I think if I introduced Lightroom to the mix and used RAW I would probably spend a lot more time that I’d like editing files, to get to a place where the Nikon would’ve got me to in one step in the camera. I may download the trial of Lightroom and shoot some RAW files to see if the processing is any better for pictures where I’m not layering, then I can have a better appreciation of why you love it so much and what it can do for me. It will be interesting to hear your thoughts after you have tried Lightroom for a few weeks. It’s a new way of working that takes a little getting used to because it’s so different from Photoshop. I think you’ll be pleasantly surprised. Thank you for such a clear article explaining the mystery of RAW files. I have always drawn back from using it as it seemed too complicated. Now I will give it a try, especially as I can use Lightroom to process the files. Glad you foud the article useful. You should give Raw a go, it may seem complex at first but in many ways it makes taking photos simpler as you don’t have to worry about colour temperature or Picture Style until you process the photo. There are less decisions to make in-camera (or to put it another way you can make the decisions without worrying about whether you made the right ones as you can change them afterwards). The BIGGEST difference between the two, above and beyond Lightroom’s ability to organize files, is that Photoshop is designed to accomodate a graphic artist’s thinking; Lightroom is not. I could not, for the life of me, figure out Photoshop. Further, even what I did learn, I wouldn’t remember anyways. It’s not intuitive to a non graphic artist person. Now, many people who aren’t graphic artists do fine with it, but that’s not the point; it’s those of us who are simply not even in the same parking lot as Photoshop goes. Lightroom, on the other hand, is so intuitive and so well designed for people who aren’t graphic artists. I had no problem at all learning the program, save for some of its own peculiar nuances. And for my photography desires, it does all I need. That isn’t to say that one day I might want to go further, in which case I will specialize in learning (and remembering!) only what I need to know in Photoshop. Otherwise, I will stay away from it. That’s a good point Keith. The learning curve in Lightroom is much quicker and it’s a lot easier to use than Photoshop. It’s designed for photographers, and photographers only, so it doesn’t have to cater for other users such as graphic designers or visual artists. I’ll take my time to switch over from Photoshop to Lightroom. Plz give me some justification, Is Lightroom better replacement n friendly in USE.. Yes, Lightroom is very easy to use. It will take a bit of getting used to, but once you are familiar with it you will find it on the whole much easier than Photoshop. Lightroom is great for processing Raw files, but still can’t do everything that Photoshop can. The benefit of Lightroom is that you use it to organise and search your photos as well as process them. It’s a complete workflow tool, whereas Photoshop is for processing images. Best way to find out is download the 30 day trial and try it out. You’ll soon see whether Lightroom is suitable for you.